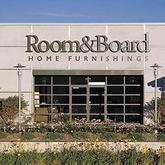 Room & Board is a home furnishing and furniture company. They manufacture comfortable and versatile furniture, blended seamlessly to offer cohesive feel and look. They even offer home delivery of purchased products at flat rates. Personnel of the company even offer various comprehensive ideas regarding product design and even other flooring ideas. In addition, they even offer commendable exchange offers and easy return policies with a free shipping option in case the product is returned within a number of contiguous states. Expert personnel of the company also undertake the burden to assemble the furniture and remove all packaging once the item is delivered to the said location. There are currently 0 consumer reviews about Room & Board available. Share your review. Please take a note that you are about to post a public review about Room & Board corporate office on CorporateOffice.com. This review will be public, so please do not post any of your personal information on this website. If you would like to contact the corporate offices of Room & Board, please use their contact information such as their phone number, website, and address listed above to contact them. However, sometimes staff from Room & Board headquarters do read the reviews on this website.